This is the time of the year when people like me are busy trying to hurry up with their year-end list compilations before heading out to celebrate the entry of the New Year. Usually I do try to go in for an in depth analysis of Indian Cinema, looking at the major happenings of the year in nearly all the dominant film industries, both Hindi and regional. But of late I’ve been caught up with all sorts of stuff; as a result I ended up being unable to come up with my mandatory year end posts for 2017, the one on Indian Cinema and the other one on Malayalam Cinema specifically. Hence I’ve decided that it’s time to play it wisely and focus mainly on the lists in particular and not the detailed anlysis. Why miss out on doing something that I am fond of altogether? I’ve gone about watching around 200 Indian films in 2018, I am referring to only those films which had a theatrical and/or digital release in 2018 and not those that released before or remain unreleased. With the popularity of digital/OTT platforms on the rise and with 2018 already seeing direct to digital release of a few Indian feature films, we can be rest assured that this is going to be seen more and more often. I’ve managed to watch films in Hindi, Bengali, Assamese, Marathi, Tamil, Telugu, Malayalam, Kannada and Punjabi and as always have been tracking the films as well as the happenings in the industry across the country. I found Bengali cinema to be disappointing with their content overall, none of the films have impressed me enough to make it to the top 10 Indian films of 2018, a surprise to me. Marathi cinema had an average year, a few good films here and there of course while Kannada cinema was more in the news for the hurricane unleashed towards the end of the year called KGF rather than anything else. Telugu cinema seemed to be finally paying attention to high concept films, be it smaller films like C/o Kancharapalem, RX 100, Awe etc. or even the more commercial ventures like Rangasthalam or Mahanati, there seemed to be a change for the better clearly seen. Malayalam cinema had an average year I would say, films like Eeda, Ee.Ma.Yau, Sudani From Nigeria etc. continued to reflect well upon the industry laying importance to writing, but at the same time a lot of sub-standard work was also seen. 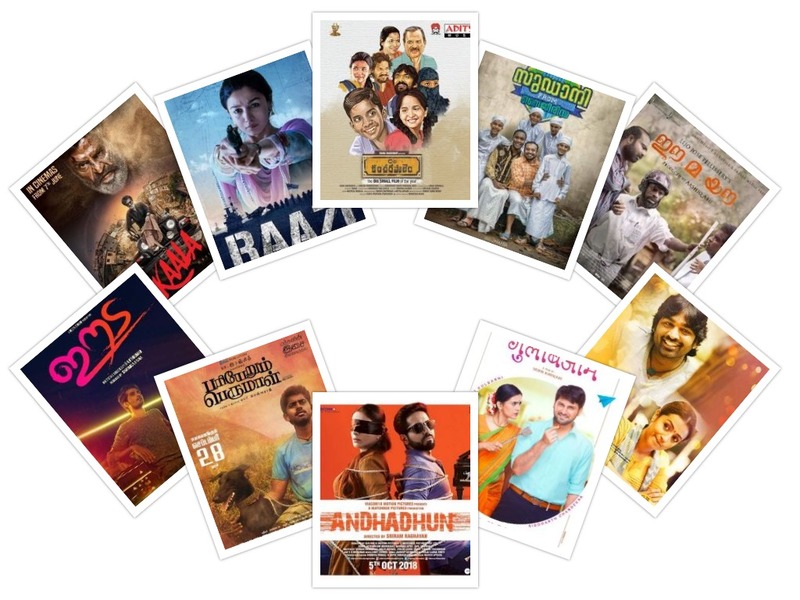 Tamil cinema had a golden year of sorts, with the 2nd half of the year in particular throwing a lot of gems including Pariyerum Perumal, ’96, Ratsasan, Vada Chennai etc. Bollywood had a good year business wise while the same cannot be said when it comes to the quality of their films. The good thing to note was that some good high concept films including Raazi, Stree, Badhaai Ho etc. did well while the bigger films like Thugs of Hindustan, Race 3 and Zero struggled. A modern take on William Shakespeare’s Romeo and Juliet, this one sees noted editor B. Ajithkumar turn writer-director. Set against the backdrop of 2 politically active families of opposing sides in the Malabar region, the film takes a poignant look at how society and the political aspirations of their own people can prove to be stumbling blocks for the young, educated and free spirited romantic pair. 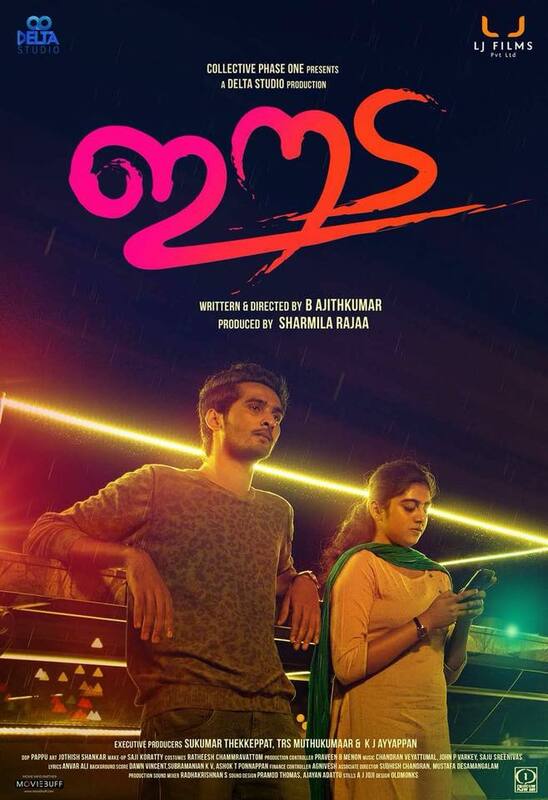 Shane Nigam and Nimisha Vijayan did very well playing the lovers caught at cross roads and Eeda was a great start for Malayalam cinema in 2018. 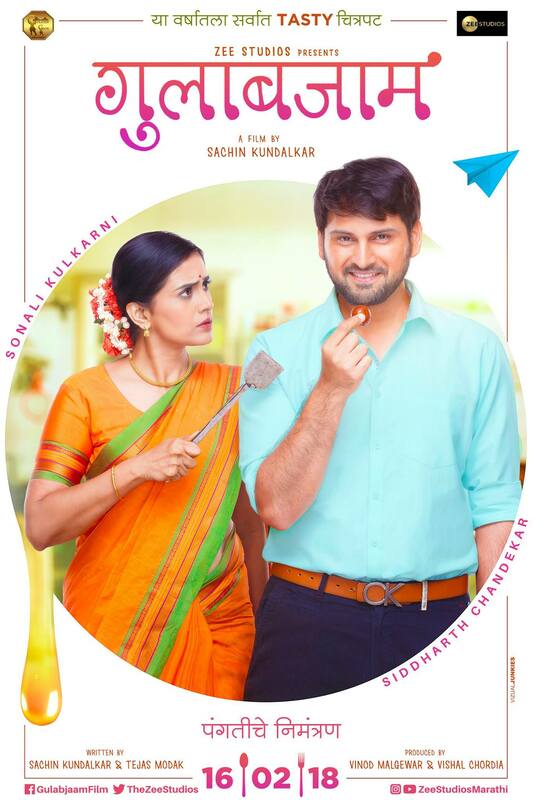 Set in Pune and focusing on the unlikely pair of Aditya Naik (Siddharth Chandekar) and Radha Agarkar (Sonali Kulkarni), Sachin Kundalkar weaves in a wonderful relationship tale that is definitely unusual. For starters it is food, Maharashtrian vegetarian cuisine and its special recipes in particular which brings Aditya and Radha together, at the same time going on to be background of the tale as well. Taking its own sweet time but making sure to draw us into the tale very effectively, this is a refreshing film in more ways than one. Sonali Kulkarni once again reminds us that she is such a charming presence on screen. 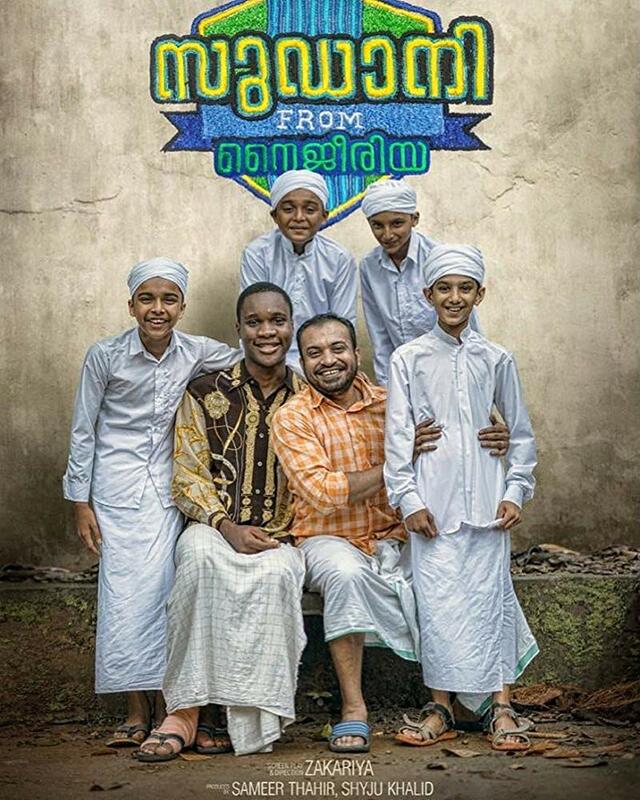 Another film based in the Malabar region of Kerala, this is easily one of the better debut films by a Indian filmmaker in 2018 and Zakariya Mohammed left a positive mark with this football themed film. A player from Nigeria (Samuel Abiola Robinson) joins a local sevens football club in Malappuram which is managed by Majeed (Soubin Shahir). Things go wrong when Samuel gets injured and Majeed is forced to take care of him. What forges the bond between the 2 unlikely people is their love for football and the economic backgrounds that they belong to. The film has the right balance of humour and emotion to keep us hooked. This is a small film with a big heart and a delight all the way. 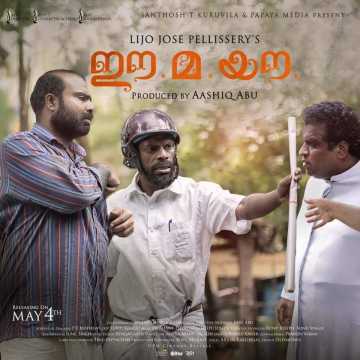 A satire set in a coastal village in Kerala, the film revolves around the death of Vavachan Mesthiri (Kainakiri Thankaraj) and the unexpected chaos that his forthcoming funeral goes on to witness, taking the sleepy village by storm. A favourite of the festival circuit and a winner of multiple awards all across, it is easily one of the few films to blend artistic excellence within the commercial domain so well this year. Chemban Vinod Jose, Vinayakan and Dileesh Pothan’s performances and the constant background of rain heighten the impact and lend great support to the writing by popular writer P.F. Mathews. Based on the book “Calling Sehmat” by Harinder Sikka, Raazi was a rare Hindi film in 2018 where nearly everything went right for it. 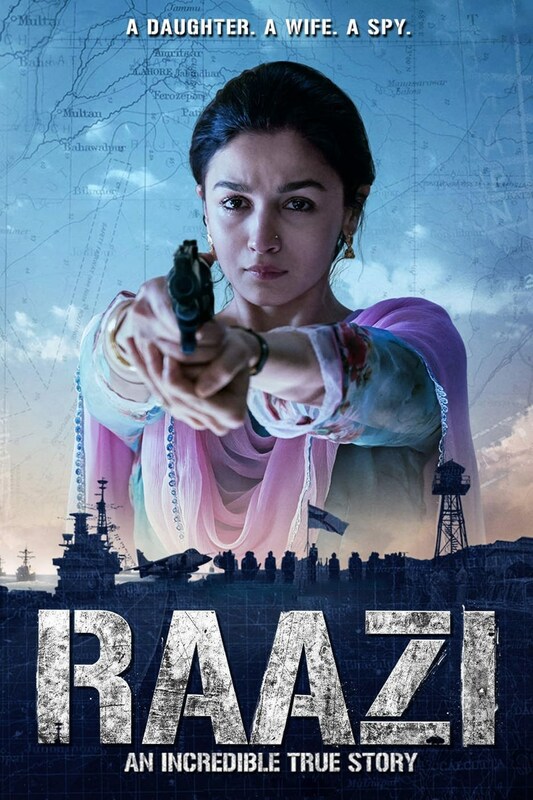 Adapted to the screen reasonably well by Bhavani Iyer and Meghna Gulzar, wonderfully enacted by Alia Bhatt (the lead role) and marketed smartly by Dharma Productions (the producers along with Junglee Pictures), this period thriller (set in 1971) was well received both by critics and the audience. 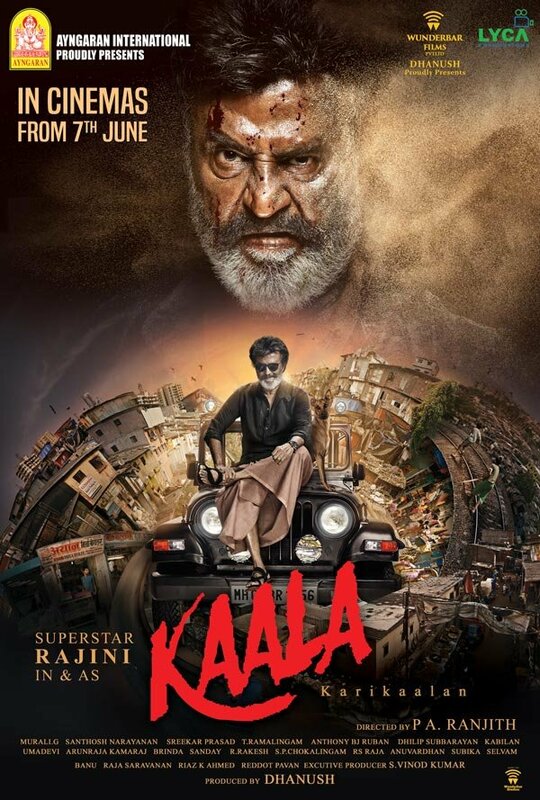 Kaala saw Rajinikanth team up with Pa.Ranjith once again after Kabali (2016) and this time the setting was the slums of Dharavi, Mumbai. Clearly not shying away from sharing his political and social ideologies, Pa. Ranjith boldly takes sides and makes the whole Kaala vs Haridada (Nana Patekar) clash emerge as a highlight of the film. With some good supporting performances, deft cinematography and a climax that was remarkable for its use of colour and the message conveyed, Kaala made a lot of people sit up and take notice. So what if the film left some die-hard Rajini fans unhappy, Pa.Ranjith seemed to have succeeded in his objective. This is easily the best Telugu movie of the year and among the finest seen in Indian cinema as well. Maha Venkatesh who made his debut as writer-director is one of the definite contenders for the National Awards for 2018, having smartly written and executed this story set in the suburb of Vishakapatnam, Kancharapalem and spread over nearly four decades. A very unusual love story told to us through the eyes of four different characters, across four different time zones, the film also had one of the most impactful culminations seen in Indian cinema in 2018. Telugu cinema can do with more such films in 2019 as well. Another fantastic debut effort this year, writer-director Mari Selvaraj hit the ball virtually out of the park with this film. Produced by Pa.Ranjith who probably saw a lot of merit in the film’s take on the way the social set up of Tamil Nadu (for that matter anywhere else in India) is caste driven and impacting human lives, the film soon shot to prominence after an initially small release. Competing against some really good films alongside which included Chekka Chivantha Vaanam, ’96 and Ratsasan, Pariyerum Perumal made a smashing impact on audiences everywhere. The soundtrack by Santosh Narayanan is easily one of the best of Indian cinema in 2018. Cinematographer C. Prem Kumar made his debut as writer-director with this nostalgic tale of love and focusing on two individuals who meet again after 22 years thanks to a school reunion. 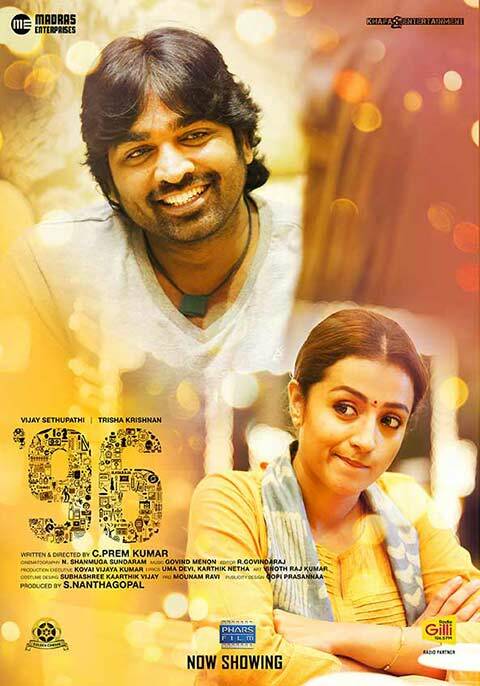 With a fantastic musical score by Govind Vasantha, sensitive performances from the lead pair Vijay Sethupathi and Trisha, along with some wonderful supporting performances and a heart tugging climax, ’96 made for a delightful watch on screen. Easily the best Hindi film of the year and probably the most audience friendly film made by ace filmmaker Sriram Raghavan so far, this one went on impress the audience and critics alike. With a subtle undercurrent of humour running throughout the film, this was a quirky tale that began and started in great fashion, without spoon feeding the audience. 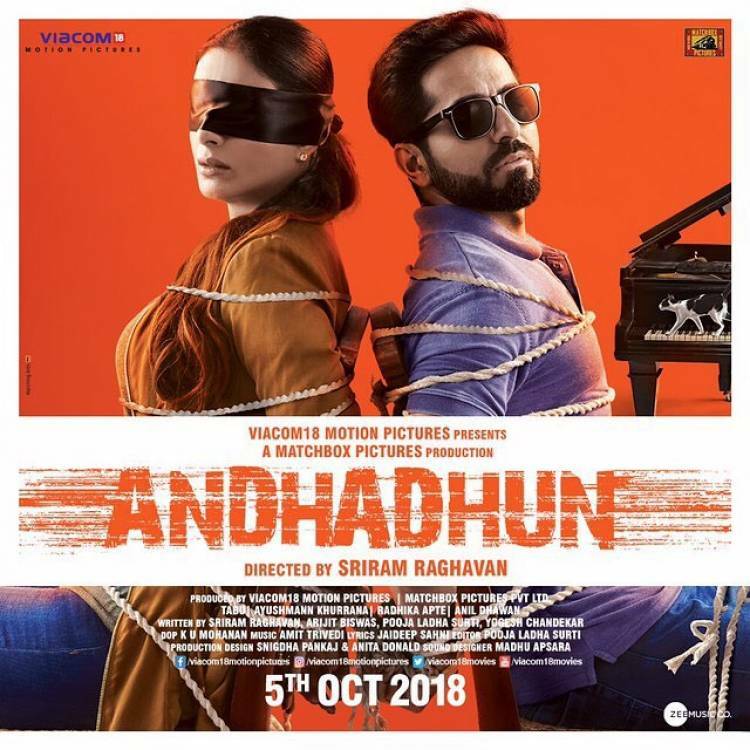 In fact Andhadhun can be proud of making people ask one of the most popular questions pertaining to Indian films in 2018, So was Akash (Ayushmann Khurrana) actually blind or not? :). The film also saw a fine performance from Tabu, ably complimenting the energetic presence of Ayushmann Khurrana. Note– Ottamuri Velicham went on to be directly released on Eros Now after a successful festival run and winning several awards. Some notable films which I have not yet managed to watch and which could probably have been in contention for a spot on this list include Aalorukkam and Bhayanakam (both Malayalam) and Lathe Joshi (Marathi). Kaala is a mess. Pa Ranjith tried to portray the slums of Dharavi as the western hoods by showing rock culture of 70s America. Mahanati deserves to be to 10 if you don’t under-appreciate cinematography. Best has become a relative term,where in fact the referred item may not even deserve to be called mediocre.Movies are going downhill and unless someone figures out a radical change,the rut may become inextricateable.